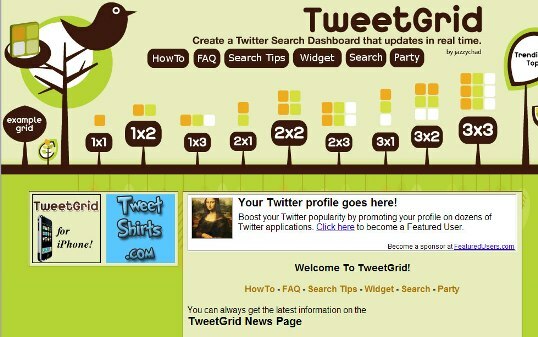 TweetGrid is a web application that lets you search Twitter for up to 9 terms while offering real-time results. One can search for events, hashtags, phrases, people, groups, and many other topics. After receiving the first response, as new tweets are published, the dashboard with the results is updated, showing those new tweets without having to reload the page. This application allows you to use logical operators in the searches and you can also configure to receive results only in a certain language. If you want to send a tweet from this application can do it without problems, just click on the link Tweet, on top of the screen. Also from the results we can answer tweets, RT and up to mark a tweet as a favorite.